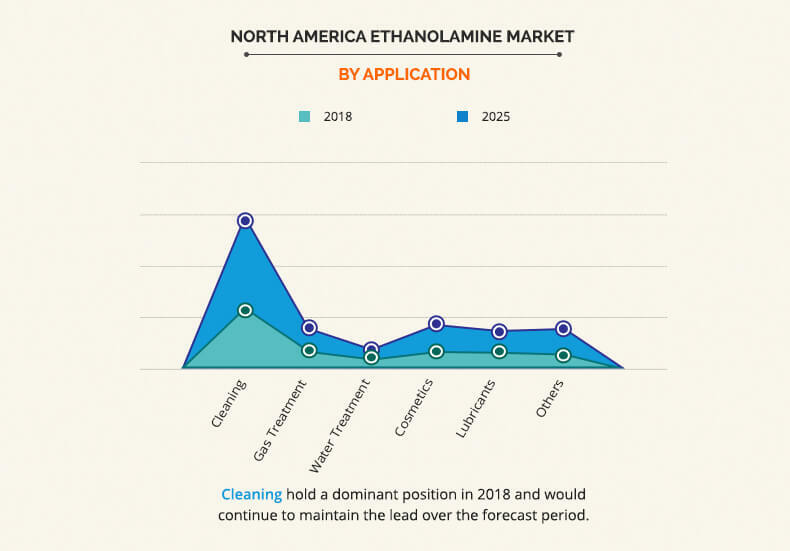 The North America ethanolamine market was valued at $794 million in 2017 and is projected to reach $1,224 million by 2025, growing at a CAGR of 5.6% from 2018 to 2025. Ethanolamine is an organic chemical compound that is used in the production of emulsifiers, detergents, polishes, corrosion inhibitors, and chemical intermediates. It is used as an emulsifier in soaps and detergents in numerous household and industrial products. Monoethanolamine, diethanolamine, and triethanolamine are the three main types of ethanolamines, which are widely used as absorbents for acidic components of natural gas and petroleum-refinery gas streams. Triethanolamine acts as a common corrosion inhibitor for automobile antifreeze solutions and airplane-engine coolants. The North America ethanolamine market is driven by the growth in demand for ethanolamine across various end-user industries. The market is expected to experience rapid growth as use of ethanolamine is on the rise in the personal care and cleaning industry. Furthermore, growth of the surfactants industry in North America is anticipated to boost the North America ethanolamine market. However, fluctuation in raw material prices is expected to hamper the market growth. The surge in demand for gas sweetening agents such as diethanolamine and monoethanolamine, is expected to create lucrative opportunities for the growth of the market in future. The North America ethanolamine market is segmented based on product, application, end-user industry, and country. Based on product, it is categorized into monoethanolamine, diethanolamine, and triethanolamine. By application, the market is segmented into cleaning, gas treatment, water treatment, cosmetics, lubricants, and others. Based on end-user industry, the market is segmented into polyurethane, personal care, chemical, agrochemical, oil & petrochemical, and others. By country, the market is analyzed across the U.S., Canada, and Mexico. The key players analyzed in this report are BASF SE, Huntsman International LLC, INVISTA, Mitsubishi Gas Chemical Company, Akzo Nobel N.V., Diacel Chemical Industries Ltd., The Dow Chemical Company, INEOS, SINOPEC, and TAMINCO. The other players in the value chain (not included in the report) include Brenntag, HELM AG, LyondellBasell Industries N.V., and Sintez OKA LLC. 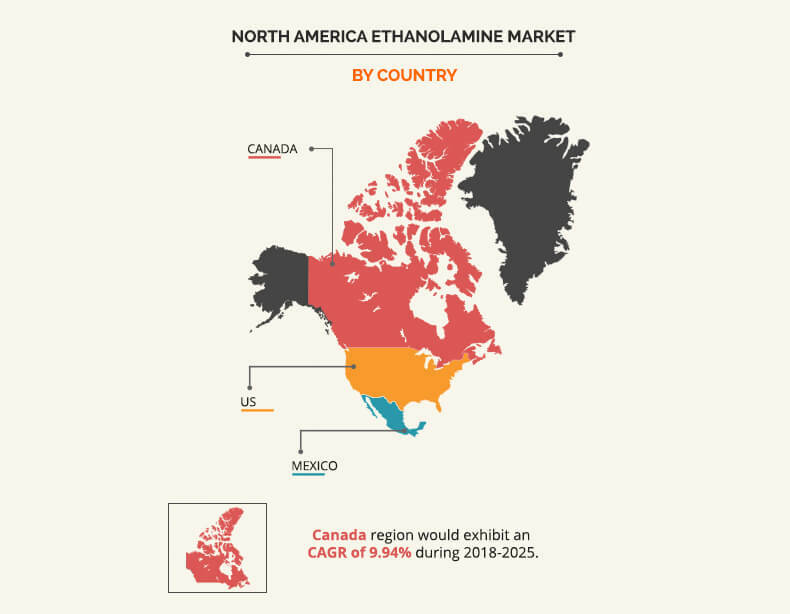 The Canada ethanolamine market is expected to witness rapid growth during the forecast period owing to increase in use of ethanolamine in production of emulsifiers, detergents, polishes, corrosion inhibitors, and chemical intermediates. In addition, monoethanolamine acts as an intermediate chemical product in the manufacturing of timber preservatives and tensides, which are used in detergents & cleaning agents. Timber preservatives are widely used in this region to preserve wood and other timber products. The cleaning segment dominates the global market in 2018 and is expected to maintain this trend during the forecast period owing to the utilization of surfactants in cleaning agents. Furthermore, growth of the personal care industry is expected to provide an impetus to the segment during the forecast period. Surfactants are mainly based on active agents used in cleaning and emulsifying. This, in turn, is expected to increase the demand for ethanolamines. The triethanolamine (TEA) segment is estimated to grow at the highest CAGR during the forecast period, owing to increase in demand for bio-surfactants in the U.S. and Canada. Furthermore, regulatory pressure from the governing bodies to reduce dependence on synthetic equivalents is expected to create new avenues for key players in the triethanolamine industry. 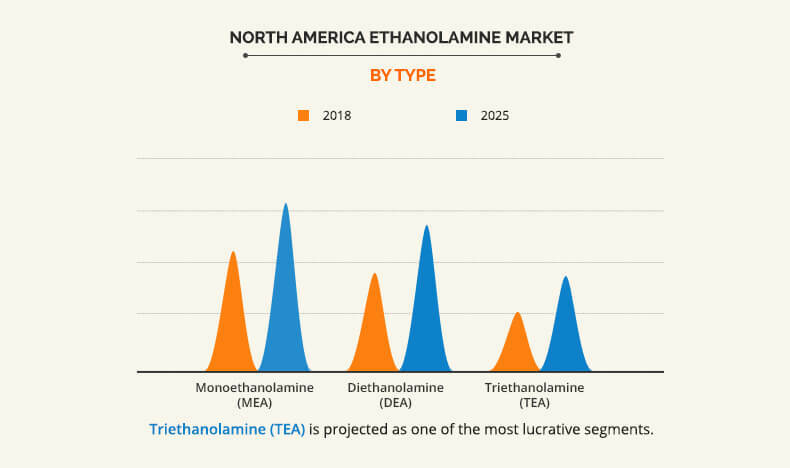 This report entails a detailed quantitative analysis of the current market trends from 2017 to 2025 to identify the prevailing opportunities along with a strategic assessment of the North America ethanolamine market. 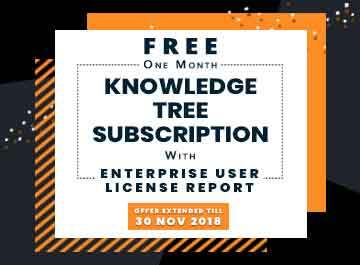 Market size and estimations are based on a comprehensive analysis of the type, end user, applications, and developments in the industry. A qualitative analysis based on innovative products and devices facilitate strategic business planning. The development strategies adopted by the key market players are enlisted to understand the competitive scenario of the market. 8.8. MITSUBISHI GAS CHEMICAL COMPANY, INC. The North America ethanolamine market witnessed significant growth in the recent years owing to rise in surfactant requirement and growth in the demand for crop protection chemicals among farmers in North America. Fluctuating prices of raw materials that are used for ethanolamine production is a major constraint for the North America ethanolamine market.